Soft. Warm. Everything you need on a stormy day when words or snowflakes bite. 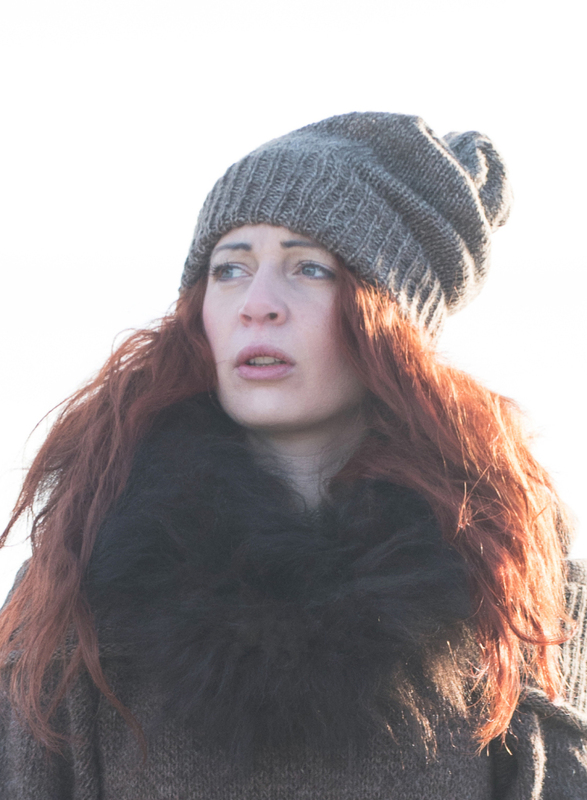 Knit with our custom milled, Bison Cloud, a 50/50 bison/alpaca yarn. 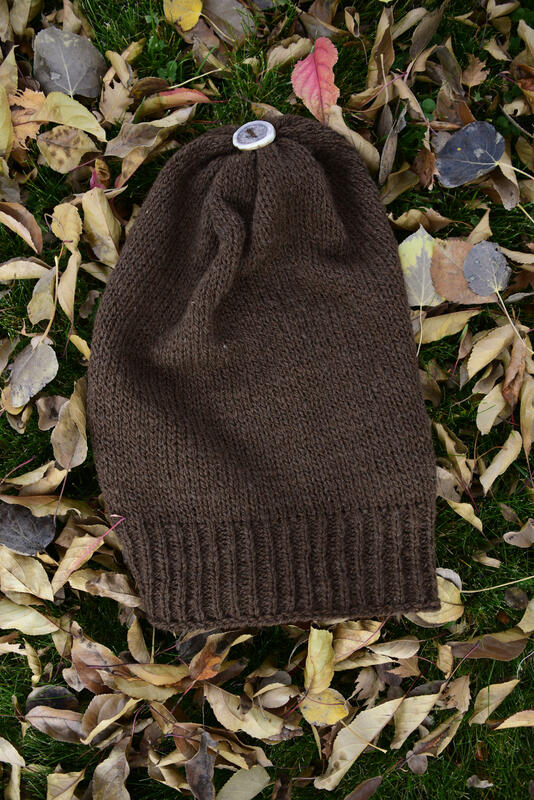 The Baggy Beanie has a 3" ribbed band, and measures 13" long. 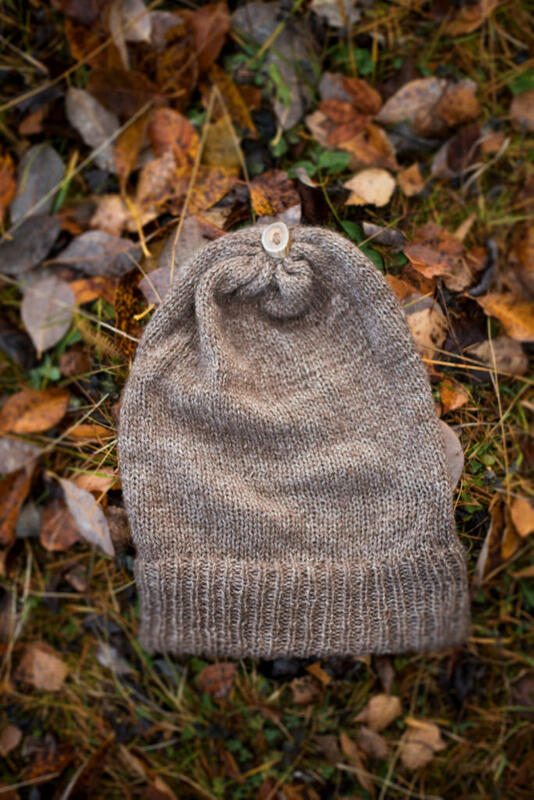 It is capped with an elk-antler button. All natural, no dyes or harsh chemicals used at any time during the processing of the fibers. USPS Priority Shipping is included in price. Handling fee applies. (Model is wearing color: Latte).